Mr. Corbeil had this in his scrapbook. I’ve seen these sheets, but I know I would have trouble memorizing them – that would not have been my job. I scanned it and shared it with who might like WWII ships. 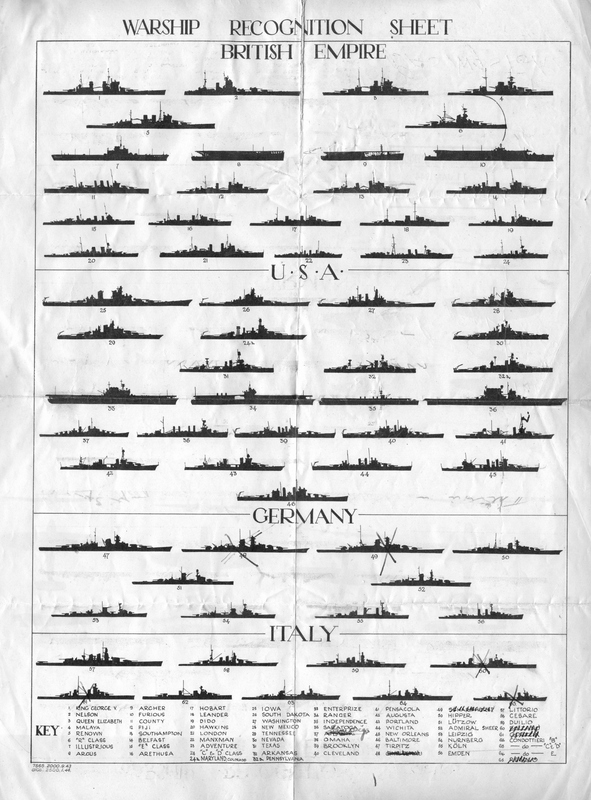 Notice the X marks on sunken ships. I noticed the X’s but wasn’t quite certain why. Now I know!